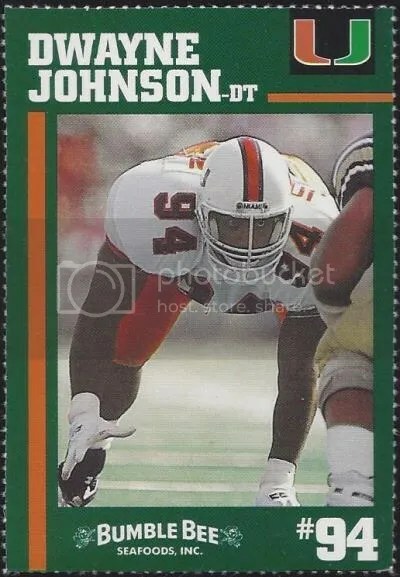 Card of the Day: Dwayne Johnson 1994 University of Miami/Bumble Bee Seafoods, Inc. I guess all good things must come to an end. 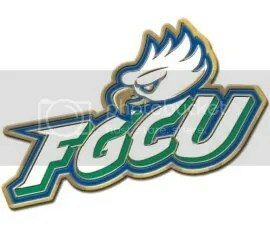 Last night Florida Gulf Coast University’s men’s basketball team lost to Florida 62-50. FGCU came out strong and had the lead for awhile, but in the end couldn’t hold on. This was the first time that a 15th seed ever advanced to the Sweet 16. Not too bad for a college that was only founded in 1991. FGCU really surprised a lot of people. I’m sure they ticked off quite a few people out in Las Vegas too. As you can imagine, the further they advanced the more popular their merchandise became. T-shirts, hats, glasses, and floor mats have all been in big demand. While browsing through their bookstore, one item caught my eye. For only $4.95 you can have a FGCU logo lapel pin. I would like to see them make a pin that commemorates the team making it to the Sweet 16. They already are selling prints that commemorate this special event. Maybe next year. Henry Hynoski is one of those rookies from last year that doesn’t have a ton of cards. As of right now, you can only find his cards in Plates & Patches and Playoff Contenders. 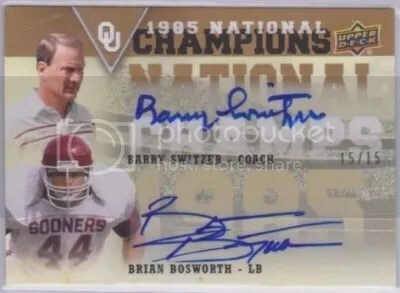 His Plates & Patches cards seem to be a lot more popular than the Playoff Contenders. 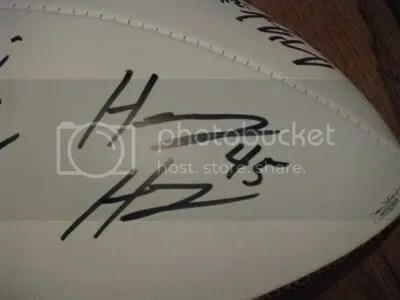 During Super Bowl XLVI Hynoski caught 2 passes for 19 yards, and recovered an Hakeem Nicks fumble in the third quarter. I had no idea that everyday when I go to school I am driving past the resting place of a Baseball Hall of Famer. Not just any HOF player either, but Christy Mathewson. 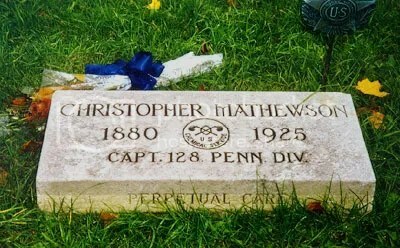 I knew that Mathewson went to college at Bucknell University, but I didn’t know he was buried at the Lewisburg Cemetery which is very close to the school. There are a few other baseball players buried there too: Walter Allen “Heavy” Blair, and Harry Elwood “Moose” McCormick.